Image of the Coax to CPW transition. 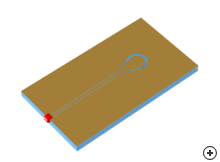 The conventional method of connecting a coaxial cable to CPW is co-planar, i.e. end fed. 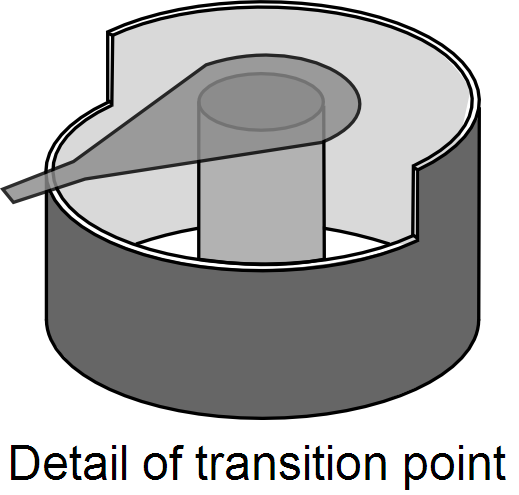 Problems arise with this connection method when a large dimensional discrepancy between the coaxial inner conductor and the inner conducting strip of the CPW exists. 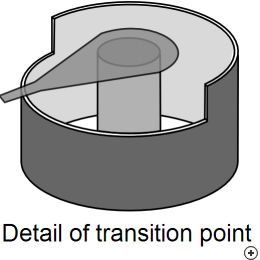 The coax to CPW transition addition to Antenna Magus has a different topology to the above mentioned. The coaxial connector is mounted on the underside of a substrate with the centre conductor extending through the substrate and is attached in a perpendicular manner to the central conducting strip of the CPW. To overcome the dimensional difference between the centre conductors of the CPW and the coax, a small tab like structure is used to form a linear taper between the two. The outer conductor of the coax is modified, and only a section of it extends through the substrate and is attached to the groundplane. 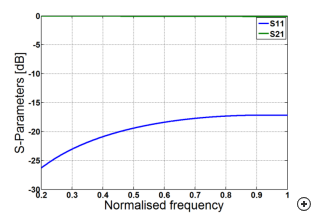 The perpendicular connection allows the high-frequency electric field of the coax to directly couple, in a uniform manner, on the same plane with the high-frequency electric field in the gap between the CPW centre conductor and the groundplane. 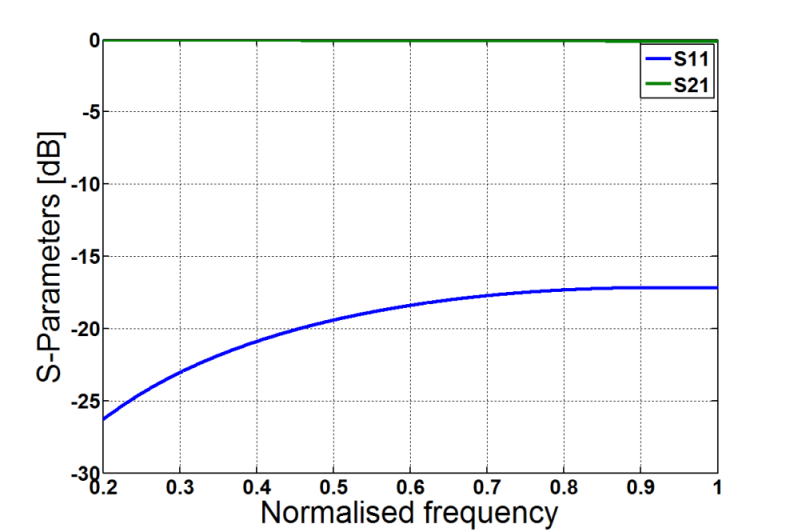 This modification in physical geometry allows minimal mismatch and ultra-wideband (where S11 < -10 dB and S21 > -1 dB) with the upper limit dependent on the exact physical parameters and geometry of the coaxial connector used. Antenna Magus has coaxial connector two design options: a practical coax, for designs below 20 GHz, and a frequency scaled connector.